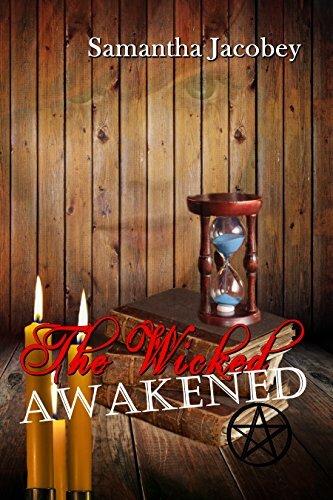 THE WICKED AWAKENED - What would you do if a five hundred year old witch wanted to turn your body into her new home? Morcant and Blake Korrigan own a little shop of horrors, where witches congregate and people ending up dead isn’t rare. When Karen Hiltzman joins their coven, she has no idea what she’s getting into. Drawn in, the group convinces her to recruit her best friend, Sarah Matthews, after discovering that she bears a very special birthmark; one that indicates she’s the girl they’ve been waiting for. Eager to reincarnate a witch put to death by an angry mob five hundred years prior, Morcant unleashes a spell; a dark and sinister curse. His ritual transforms Sarah’s body and will bring the dreaded Brenna back to life when it’s completed. Blake wants to stop him; but will he be strong enough to defeat his elder sibling, and if he does… will he be able to let her go when it’s done?.